Dave Callaham (‘Zombieland 2‘) will write what is being described as a bit of a throwback to the mismatched buddy action comedies like ‘Lethal Weapon‘ and ‘48 Hours‘. The project will be a coproduction between FlynnPictureCo., Olive Bridge Entertainment and Seven Bucks Productions. Beau Flynn and Gluck will produce as will Johnson through his Seven Bucks banner. The hope is this will launch a new franchise and they have the very actor attached who could make that happen if they can find the right guy to play opposite. Hildebrand is set to exec produce for Olive Bridge Entertainment while Scott Sheldon will oversee for FlynnPictureCo. and Hiram Garcia for Seven Bucks Productions. New Line is sending Richard Brener, Walter Hamada and David Neustadter to oversee. 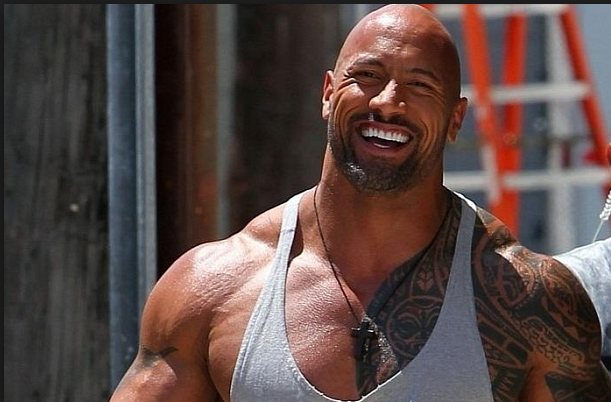 80’s Arcade Game ‘Rampage’ Receiving Big Screen Treatment With The Rock!!! ‘Baywatch’ Movie Brings Pamela Anderson Back To The Beach!!! ‘San Andreas’ Sequel Hopes To Break Ground A Second Time!!! This entry was posted on Wednesday, December 9th, 2015 at 1:58 pm	and is filed under Film, News. You can follow any responses to this entry through the RSS 2.0 feed. You can skip to the end and leave a response. Pinging is currently not allowed. « Benedict Cumberbatch’s Next Project Will Be A World War II Epic! !